The community is at the heart of the work we do. All of our projects and donations are as a result of consultation with the organisations that we work with, thereby ensuring that maximum value is achieved. 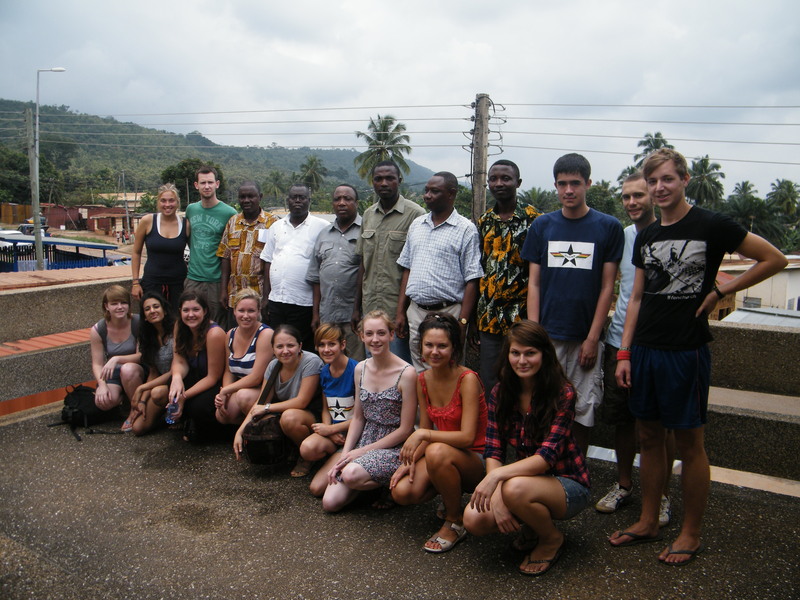 As a result when you volunteer in Ghana, your contributions has a significant impact. Check out our project pages to see the feedback we’ve received from the organisations we work with. We review our projects continually and work with the aim of establishing best practice, to ensure that our volunteers have a meaningful impact. It was a life changing and life affirming experience for me – there’s no other way to describe it! Read the rest of Tom’s thoughts in his testimonial. Volunteering is extremely rewarding. After your time in Ghana has ended, you will be able to look back with a sense of pride on the work that you have completed, knowing that you will have made a difference to the community that you have been involved with. We work hard to ensure that you are supported before, during and after your placement. All volunteers receive training and pre-departure packs. This includes information on: flights, visas, accomodation, local language, money, insurance and all the facts that you’ll want to know, but remember KickStart Ghana staff are always available to answer any question that you might have before your trip. We also have extensive in-country support. Daniel, our Director of Operations in Ghana, is in charge of all our activities in Ghana and can help with any problems that you may have. During the summer we also have a Volunteer Coordinator who is responsible, amongst other things, for ensuring that you are enjoying your volunteering. Both Daniel and the Volunteer Coordinator, will always welcome your questions and if you do experience any problems, they will be on hand to assist. The house we rent is part of a family complex, and KickStart Ghana have an excellent relationship with the other residents. We encourage you to take the time to get to know them. They are always welcoming of new people and will be happy to help you settle into a new environment. We do, of course, offer post trip support. This might range from articles about ‘reverse culture shock’ and how to deal with it, to showing you ways you can stay involved with KickStart Ghana activities and projects. 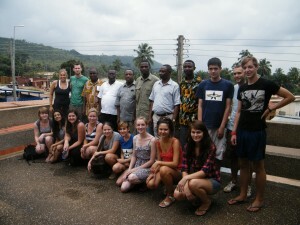 For me, KickStart Ghana stands for friendship and support to the local community and to the volunteers. Read the rest of Sandra’s thoughts in her Testimonial. KickStart Ghana is a non-profit organisation, registered as a charity in the UK and an NGO in Ghana. We don’t look to make money from our volunteers, we just ask for a reasonable donation that will cover their expenses and also make a donation to our projects. We work hard to keep costs down and to ensure that as much money as possible is donated to the projects that our volunteers are working on. Please see our project pages for details of the support that we provide. Everyone at KickStart Ghana is committed to ensuring that having fun is a top priority! We know that people who work with a smile on their face normally get more things done. We have an enthusiasm for our work and we look to ensure that our volunteers do as well. When not volunteering, Ghana is a fantastic country to travel around. There are many tourist attractions that we cannot recommend highly enough. 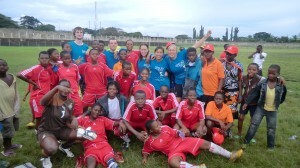 Check out our Ghana page for more information and photos.